Old Man Winter is on his way, and while we don't tend to experience extreme conditions when it comes to the winter months here in Texas, things can still get a little rough--especially when it comes to ice. Here is a handy article offering helpful tips on getting your home (and roof) ready to face the colder temps! Your roof protects your home from the top down, shielding it from rain, snow, hail, ice, wind — you name it. If there’s a problem on the roof, there will be a problem in-side your home — maybe not right away, but give it a couple of seasons. 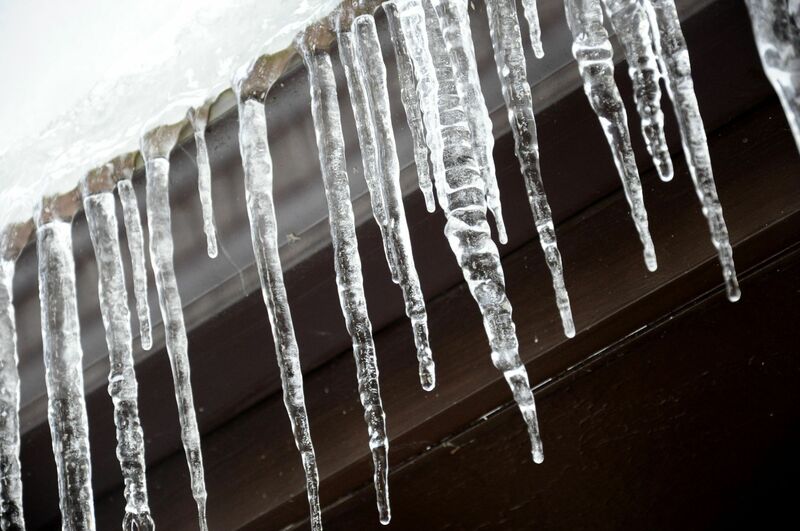 You’ll start to see the signs: leaks, animals in the roof, ice damming and heat loss like you wouldn’t believe. Check to see if any shingles are missing or look worn out. Are they buckling, curling, or missing sections of granules? When cleaning the eaves, if you ﬁnd large amounts of asphalt granules that’s a red ﬂag for re-shingling. Don’t wait for spring to do roofing work; do it now, if you can. Most good Dallas roofers will be booked, but a couple might be able to squeeze you in by early December, which isn’t too bad if Mother Nature’s on our side. Your attic should be sealed from the rest of your home with vapor barrier and have a minimum of 12-15 inches of blown-in insulation, which shouldn’t block any vents or soffits. Your attic needs to breathe so moisture can escape and we don’t get things like mold. If any caulking is brittle, shrunk or cracked, replace it. Bad caulking also lets moisture and drafts intrude. Moisture leads to rot and mold; drafts lead to heat loss.